1. Hock Beng Lee. The English courts’ view of financial derivatives // Faculty of Law, Victoria University of Wellington, Laws 524, 2016. URL: http://researcharchive.vuw.ac.nz/xmlui/bitstream/handle/10063/6325/paper_access.pdf?sequence=2 (дата обращения: 20 апреля 2018 г.). 2. Kimball-Stanley A. Insurance and credit default swaps: should like things be treated alike? 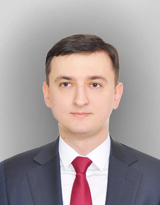 // URL: http://insurancejournal.org/wp-content/uploads/2011/07/72.pdf (дата обращения: 20 апреля 2018 г.). 3. Ng L. Credit default swaps, guarantees and insurance policies: same effect, different treatment? // URL:https://www.sidley.com/~/media/files/publications/2010/12/credit-default-swaps-guarantees-and-insurancepo__/files/view-article/fileattachment/jnl-of-intl-banking-and-finance-law-jibfl-l-ng-a__.pdf (дата обращения: 20 апреля 2018 г.). 4. Pollack E. R Assessing the Usage and Effect of Credit Derivatives // Harvard Law School International FinanceSeminar. Professors H. Jackson and H. Scott. April 28, 2003. URL: http://citeseerx.ist.psu.edu/viewdoc/download?doi=10.1.1.202.2139&rep=rep1&type=pdf (дата обращения: 20 апреля 2018 г.). 5. Swartz L. Z. ABCs of cross-border derivatives. 2015 // URL: https://www.cadwalader.com/uploads/books/522ffdb4ea0638055e838551bea93700.pdf (дата обращения: 20 апреля 2018 г. ).